So you just got a text that your family is coming into town unexpectedly and they need a place to crash -- tomorrow. They haven't been to your home in a while and right now...well, it's a wreck. Sound like a familiar scenario? Maybe your home isn't perfect, but it can certainly look pulled together with a few tricks you can keep up your sleeve for occasions such as these. Will you have time to retouch the paint in the family room? Probably not. But you can give everything a good once-over with the dust cloth and vacuum cleaner, then use the following tips to make your home company-ready in a jiffy. 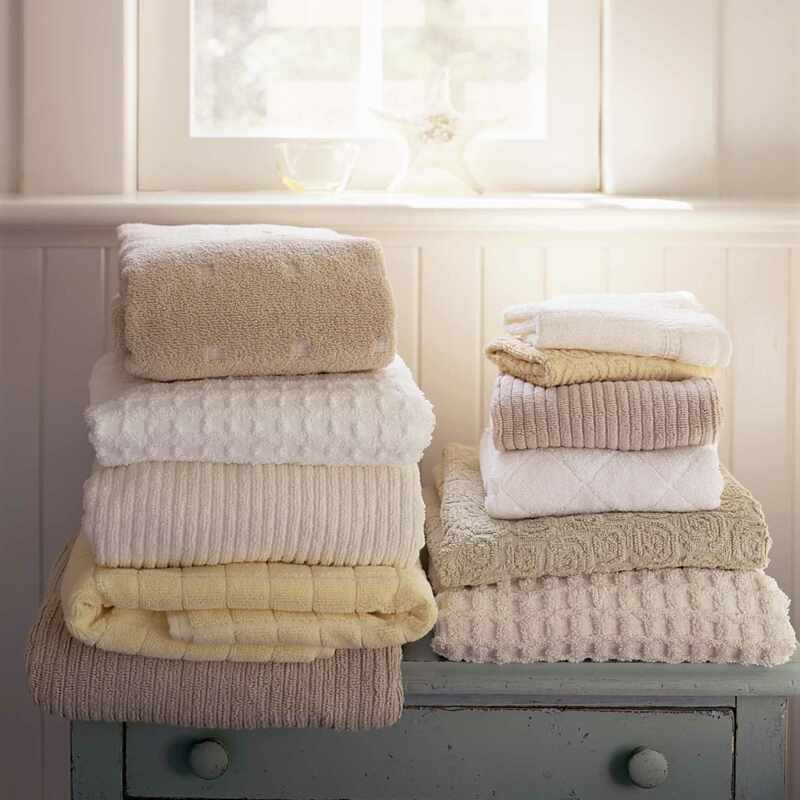 Putting out a fresh stack of nicely folded towels in the bathroom makes the space feel more sumptuous and comfortable. For extra credit, you could roll them and put them in a basket. They don't even have to match perfectly, although it does look nicer if they are at least all neutral. (Though you probably should avoid displaying your daughter's Little Mermaid towels.) That said, simply having plenty of freshly laundered linens will make your guests feel welcomed. A throw magically makes a bed feel more sumptuous, even if it's just a simple cotton one folded at the foot. Throws add color, texture, and of course, an extra layer of warmth for your guests on chilly nights. It's amazing how far two or three inexpensive bouquets of flowers from the grocery store will go in freshening up your home. Once you get back from the store, pull out all the stems that are alike and group them. Cut the stems for a fuller, lusher look in smaller-sized vases. Then, for example, put a small vase of daisies in the guest bathroom, a single lily by the guest bed, and a vase of spider mums on the kitchen counter. Since it always seems that guests like to congregate in the kitchen, pay attention to your counters and make them as presentable as possible. Adding a bowl of fresh fruit is a thoughtful touch that pulls double duty: guests don't have to go out of their way to find a snack and it adds a cheery pop of color to your space. Speaking of the kitchen counter, corral your coffee and tea supplies on a tray for instant style and organization. Guests will appreciate that they won't have to hunt for a coffee mug in the morning, and you will love how tidy and convenient it is. There are so many ways to use trays throughout the house; if you have other problem areas, consider trays for the coffee table, bedside, or foyer. If you have extra time, carve out a corner in your kitchen for a coffee station using these ideas. Your guests will surely feel pampered! Candles aren't just for romantic dinners. They add warmth, scent, and downright coziness to any room. Battery-operated pillars are very popular these days and are certainly safer, especially in homes with small children. Group some pillars on a plate for the dining room or coffee table, or strategically place some scented candles throughout your home. A simple votive on the powder room sink is a simple touch. Dollar stores are great places to buy plain, white pillars if you'd like to add some warmth to your home, but don't want to spend a lot of money. Has your living room seen better days? You may not be able to change your curtains or add a rug before your company arrives, but, it's entirely possible to change the look of your family room with some new pillows. Check out these great places to buy pillows for the best selections, then mix and match a few in coordinating colors and patterns. If you're really short on time and money, one long bolster pillow offers a clean, tailored appearance to your couch, and can add a shot of color, too.